Former director of Rice Lake TV, Mick Givens, is the newest member of the WCM Hall of Fame. 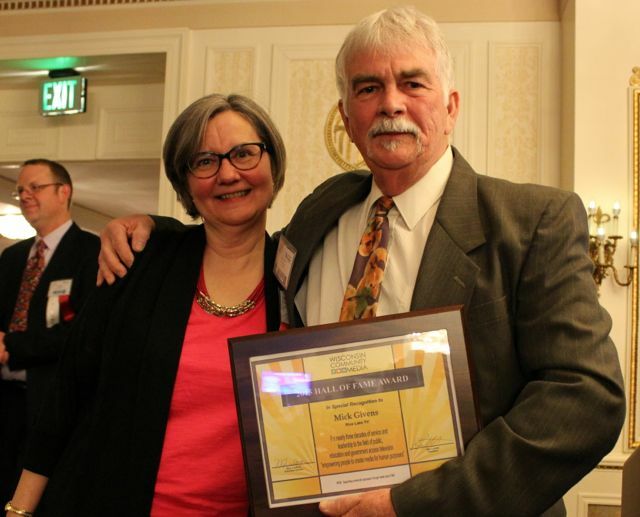 Mick exemplifies what WCM looks for each year in recognizing the careers of Wisconsin community media professionals – statewide leadership and devotion to the mission of public, education, and government access television. Mick began volunteering at the fledgling Rice Lake station in the 1980’s while employed by Marcus Cable as the District Manager. By 1995, he was managing it. Mick was part of the first group to join WCM (then WAPC) in 1998 and served on the board twice, most recently as Secretary and President from 2009 to 2011.